Mosquito control services in Atlanta are hard to find, especially when it comes to quality and affordability (not to mention effectiveness). 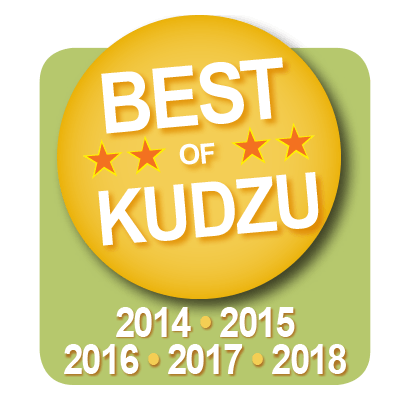 You may have entered this term into a popular search engine one hundred times over, only to find mosquito control services in your area that did not fit all of your your needs. Whether it was due to you needing a technique for mosquito control that required little to no maintenance from you (the homeowner), or due to you seeking a mosquito solution that was 100% biodegradable, both of these needs were non existent with the mosquito control services you came across, which may have lead to you giving up on the endeavor altogether. However, what if there was a local company in Atlanta that wholeheartedly fit all of this criteria, while also being an effective way to keep you and your family safe from disease-carrying mosquitoes during the time of year when these annoying pests are most active? Is this even a possibility? Well, the answer is yes and you’re in the right place. 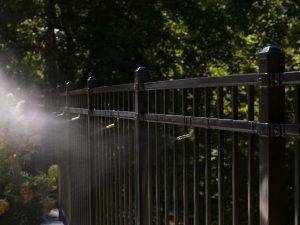 When it comes to finding quality mosquito misting services in Atlanta, look no further than Mr. Mister. Our company has been around for years and we’ve developed some of the most innovative and effective methods for controlling mosquitoes while creating a mosquito-free zone for both commercial and residential properties. We boast a fabulous customer base; a result of years of protecting Atlanta residents from mosquitoes and the dangerous mosquito-borne illnesses they transmit to both humans and pets alike — including West Nile, Chikungunya, and Zika virus. Curious about some of our techniques for mosquito control? With ClearZone™ mosquito control service your yard is provided with its very own three week no-fly zone. The service is both easy to order and have done for any homeowner: our mosquito control team shows up for your yard’s mosquito treatment, and for the three weeks thereafter, you and your family can fully enjoy your home’s yard and outdoor spaces without the anxiety that comes from the threat of dangerous mosquitoes and pesky mosquito bites. Mr. Mister’s ClearZone™ treatment utilizes a special mosquito eviscerating solution that effectively sticks to the underside of your property’s foliage, while also inhibiting mosquito reproduction, thus reducing any future population. This protection lasts a full 21 days. Beyond these advantages – our unique mosquito solution is 100% biodegradable and leave absolutely no active residues behind. Relief from disease-carrying and bothersome mosquitoes is fully guaranteed for the entire 21 days. ClearZone also treats downspout areas, drains and standing water in order to clear them of dormant larvae (or mosquito offspring) as well as any lingering adult mosquitoes. Mr. Mister is Atlanta owned and operated, which means whenever you decide to call, we immediately pick up the phone and you’ll receive service immediately. Actively engaged in our Atlanta community, and beyond. We’re in this business for one reason: make you happy while making mosquitoes very miserable. As Atlanta’s premier source for quality mosquito control services, mosquito control is our end-all-be-all. Each member of our intelligent staff is a fully trained and certified mosquito control professional. You can rest assured, knowing that a Mr. Mister™ employee (we never use any subcontractors) will personally be treating your home’s yard every time. To top it all, since we are locally owned and operated, a Mr. Mister owner is always available to answer questions or quickly respond to a customer’s feedback. Plus, our team delivers fast and efficient mosquito control services, as well as free re-treats (when needed). If there is one place your family should always feel safe, it’s your home and, moreso, your yard. Sadly, mosquitoes make it pretty difficult to keep it as safe as possible. This is where our automatic mosquito control systems come into play; they’re specially designed to add the extra layer of security to your yard that it needs. Considering the current increase in mosquito-borne diseases (Zika being the most prominent) and the mosquito season ahead, Mr. Mister mosquito control provides homeowners with the most effective and convenient technique for controlling dangerous mosquitoes as well as other annoying biting insects that may be lurking in and around your yard. Once they’ve been installed by one of our Mr. Mister technicians, our automatic mosquito control systems quickly begin creating a mosquito-free zone in your yard. 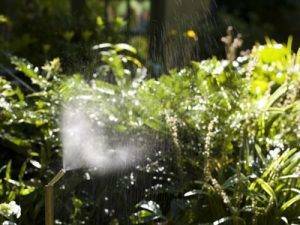 They achieve this by spraying a fine mist (via small innovative nozzles) around the perimeter of your property. This then quickly settles down on your yard’s landscape and starts repelling or eliminating any undesirable insects. Our mosquito control solutions are great for controlling fleas, spiders, wasps, flies, gnats, and of course mosquitoes. Each system is meticulously programmed to spray at dawn, dusk, and evening hours. Why? Because these times of day are when mosquitoes are most active and other more beneficial insects, such as pollinating bees and butterflies, are not in the vicinity. Once they’ve been installed in your yard, only the mosquitoes will know your automatic mosquito control system is there. Whether your home is decades old or still under construction, our automatic mosquito control systems are specially designed to be discreetly integrated into the landscaping of your yard. The protection from dangerous mosquitoes doesn’t stop after installation. Mr. Mister™ also offers service to suit the needs of every commercial property and homeowner with a full service warranty plan that covers both the system itself as well as installation.